Students at the Ashtanga Centre of Melbourne are eligible for free tickets to see Australian Comedian Josh Earl at the Comic’s Lounge next week. Those booking on next week’s Intro courses also qualify. Melbourne’s Comic’s Lounge is kindly gifting our students free tickets to next week’s Comedy Festival. This offer extends to beginners booked on our Intro courses starting next week. 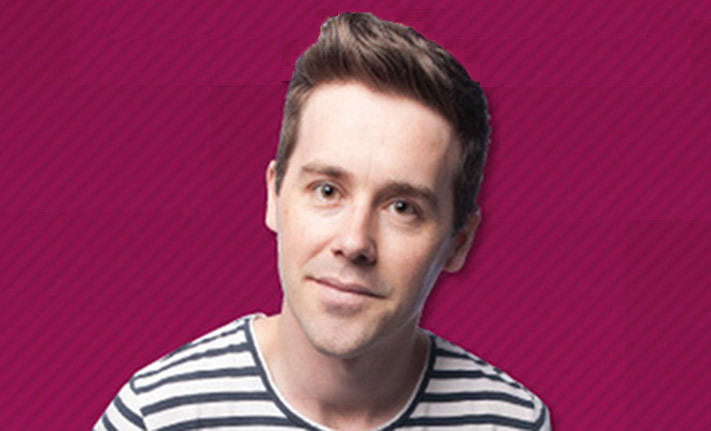 The tickets are for Australian Comedian Josh Earl’s two-hour show on Aug 5, 6, 7 & 8 at the venue in North Melbourne. Existing students can request their tickets at our Facebook page, while beginners will be emailed their tickets following registration on next week’s Intro course.